Okay, Ne-Yo’s song made a good impression when it debuted at #39 in the UK charts based on downloads alone but for some reason, the beat to Ne-Yo’s song isn’t that original at all. According to my creepy crawlings on the web, the sample used in the song is actually taken from a song made by an American singer called “Little Bit”. The song done by “Little Bit” was actually produced by Stargate – producer of Miss Independent. The song by Little bit was titled “Forget About Me” and received popular airplay in radio stations in the Philippines reaching #1 in the radio charts. 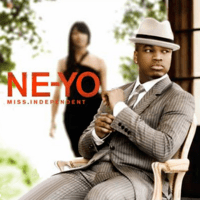 So, Ne-Yo releases “Miss Independent”. It’s his follow-up single to the equally famous “Closer” which inched it way onto the UK charts peaking at #2. The single is written by Ne-Yo and produced by Stargate. It’s quite not appaling to hear Ne-Yo’s music. To be honest, it’s quite boring to hear Ne-Yo’s releases. I mean, it’s not the lyrics that I’m criticising here, but the melody. It’s quite buggling me that almost all of Ne-Yo’s songs has something the same in each and every melody produced in it. There’s something about his songs that is quite sickening and I’m starting to hate it. Well, nonetheless Ne-Yo’s vocals are amazing and I think people will don’t care whether they heard this before or not. The track is included in his latest LP titled “Year of the Gentleman” in stores this fall of 2008.
want a copy of the song? comment on the post. This entry was posted on September 1, 2008 at 2:38 pm and is filed under Single Reviews with tags Closer, Little Bit, Miss Independent, Ne-Yo. You can follow any responses to this entry through the RSS 2.0 feed. You can leave a response, or trackback from your own site. Interesting information. Do you feel that producers of R&B music have more of an impact on the music than rock producers? haha, you’ve finally found evidence of ne-yo’s recycled melodies! cool info, and yah, i agree that ne-yo’s vocals are amazing. he should do more varied songs in the future to utilize that kind of vocal talent. yeah. i think so because more and more people are starting to like RnB more than Rock but that’s quite an understatement. More and more RnB are hitting the top spot on music charts and that quite proves the setting. I agree, Ne-Yo should do more songs that will showcase his vocal abilities and besides we all know that he can do more. I like ‘Closer’ s this new song like it ?